This portal with Train Games will provide a lot of fun and entertainment for all the members of your family. Here one can find a great number of online video games differing in styles, genres and plots. The site is a real catch for anyone who admires powerful modern locomotives and dreams of traveling. The Train Games have different difficulty levels, which makes it possible to gain a glimpse into the amazing world of locomotives for people of any age. For the youngest ones there are jigsaw puzzles, as well as a number of other fascinating and simple railroad games. And the very best thing about these enthralling games is that each and every one of them can be played free of charge. Any game lover will find here a suitable strategic game and try one’s strength in overcoming all kinds of difficulties. These colorful games are specially designed for people who are ready to improve one’s skills step by step in order to finally become a winner. As these train games are played online, you can also invite to the site your friends and other people interested in this sort of entertainment. If you are real fan of Sid Meier's Railroads or Transport Tycoon Deluxe, or even Train Simulator 2014 – you will definitely find something to play among our train games. 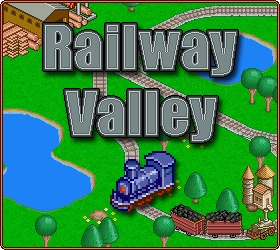 When you come to Railway Valley for the first time, you may feel embarrassed by a vast number of different Train Games with specific rules. To choose a game best corresponding to your requirements, it is recommended to look carefully through the instructions including the methods of successful playing and the details of the game. Besides, you can also read the comments to any game and look through discussions in order to learn more about the specific nature of the games. The comments and ratings will definitely help you to make the right choice and afterwards will guide you during playing, if you encounter any difficulties. 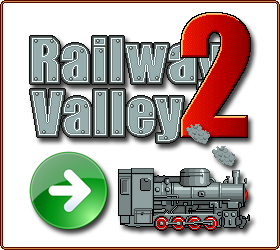 At first you may find playing some games not so easy, especially if you are a beginner and if you are just taking initial steps in the fascinating world of Railway Valley. It’s better to try one of the easiest games as a first step and then gradually move to something more complicated. 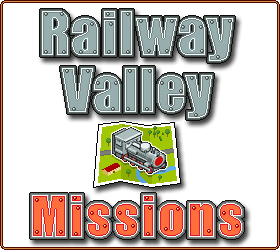 When you start your playing Raiway Valley or Train Valley games, your main goal will be to earn the scores, like in any other games played online. You will have to solve different tasks and overcome difficulties in order to reach the point of destination. That’s the best way to test your abilities. Gradually your skills in Train Games will become better, and your results will improve. As you get skilled in a specific game, you will be able to share your own opinion in the discussions regarding that game and recommend this game to other people. Alongside with strategic games, you can choose train driving game, where you can drive train or even become a skilled train engineer. The choice depends only in your own interests and ambitions. Enjoy our games! If you know some more free train games let us know, we will add them on our site as well!